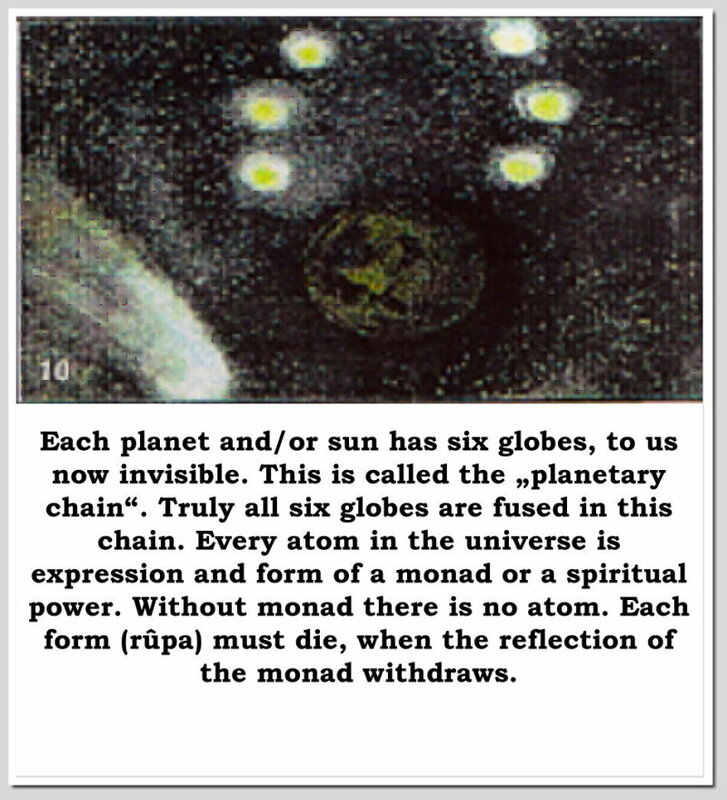 Each planet and/or sun has six globes, to us now invisible. 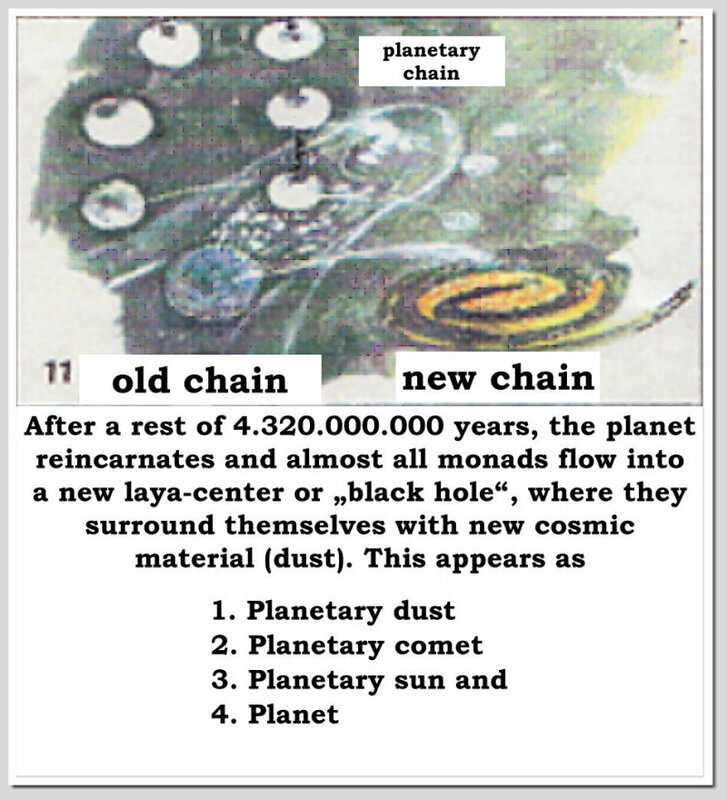 This is called the "planetary chain". Truly all six globes are fused in this chain. Every atom in the universe is expression and form of a monad or a spiritual power. Without monad there is no atom. Each form (rûpa) must die, when the reflection of the monad withdraws. The old or dying planet will be the moon of the new one. Thus a moon of a planet is always also his mother. What if a planet has several moons? Then that has several mothers. 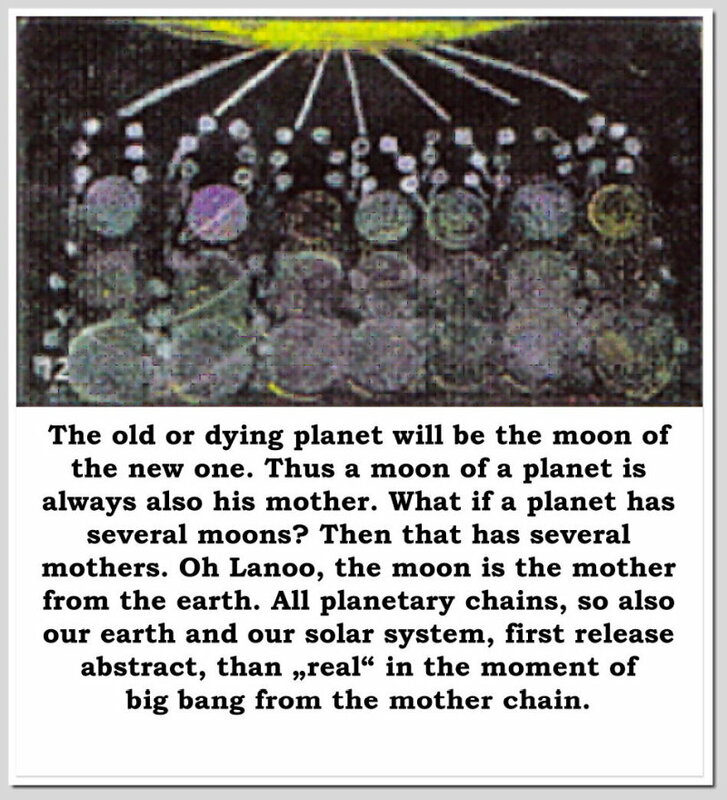 Oh Lanoo, the moon is the mother from the earth. All planetary chains, so also our earth and our solar system, first release abstract, than “real” in the moment of big bang from the mother chain. Birth of the moon from a mother chain without D-planet. 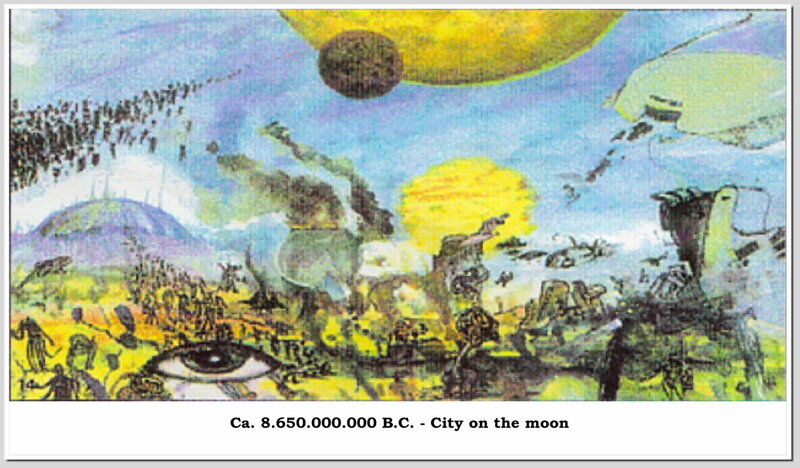 As now there is civilization on earth, there was then also life and civilization on the moon, but less developed. Ca. 8.650.000.000 B.C. - City on the moon. Jehovah withdraws. A dying moon projects all its life-energy into a new center of cosmic differentiation (Laya). After a cosmic rest (Pralaya) of 4.320.000.000 years. 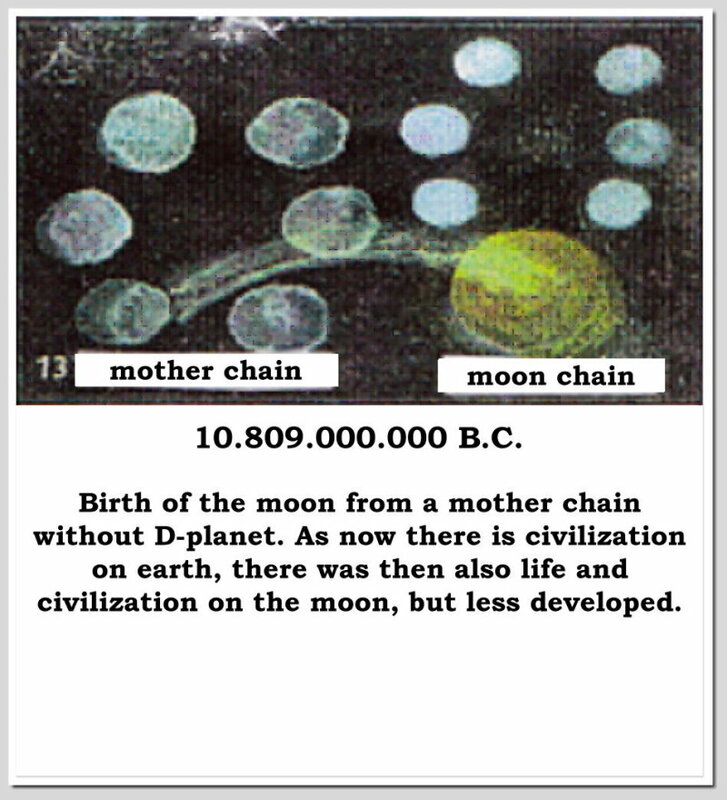 The birth of the earth and its chain out of the moon. 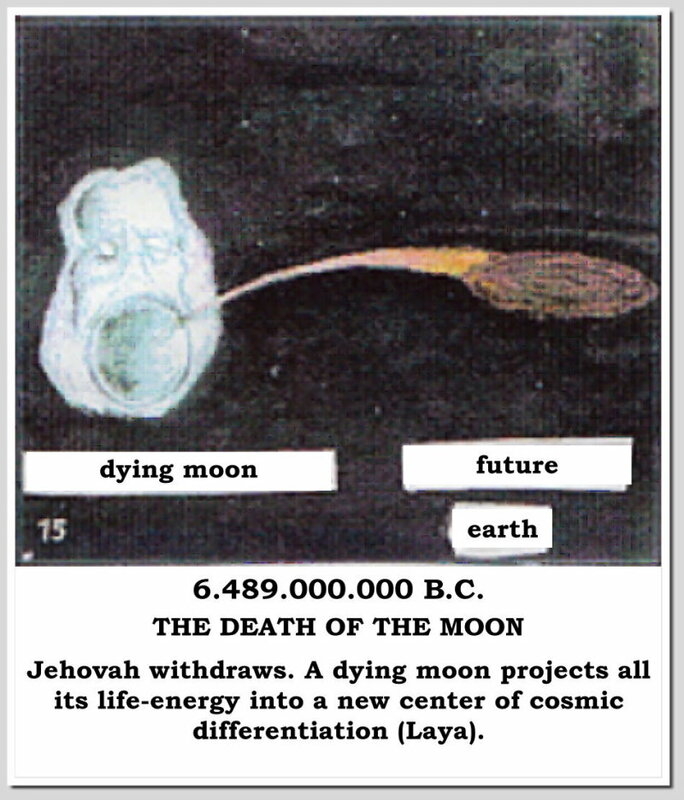 Jehovah, the moon angel, incarnates in the arising earth. The moon is the mother of the earth. 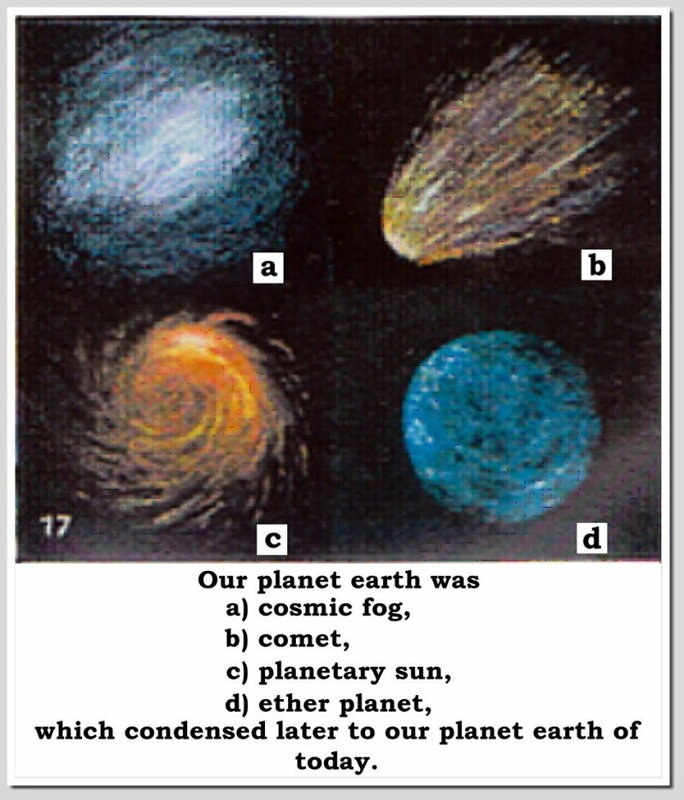 which condensed later to our planet earth of today. 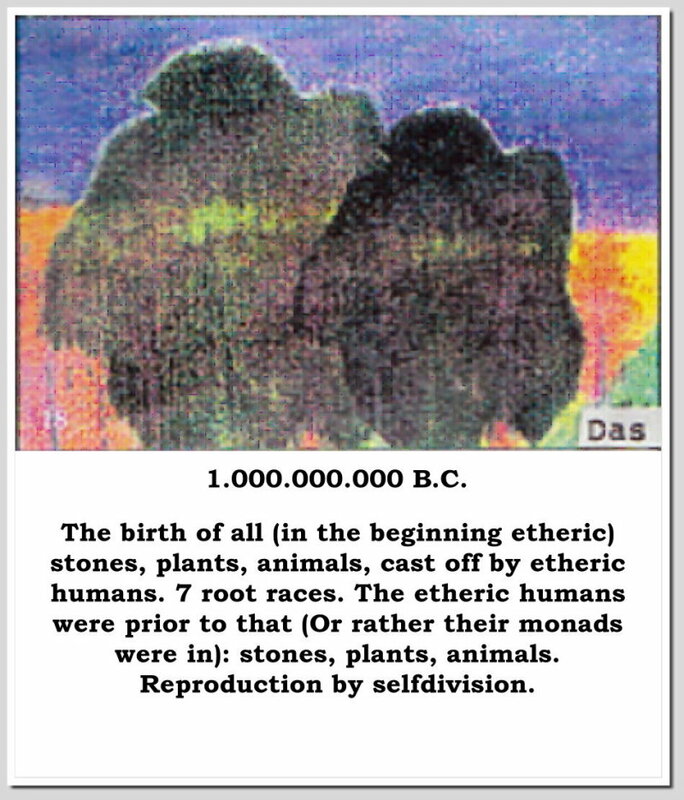 The birth of all (in the beginning etheric) stones, plants, animals, cast off by etheric humans. 7 root races. The etheric humans were prior to that (Or rather their monads were in) : stones, plants, animals. Reproduction by selfdivision. The birth of all mammals. 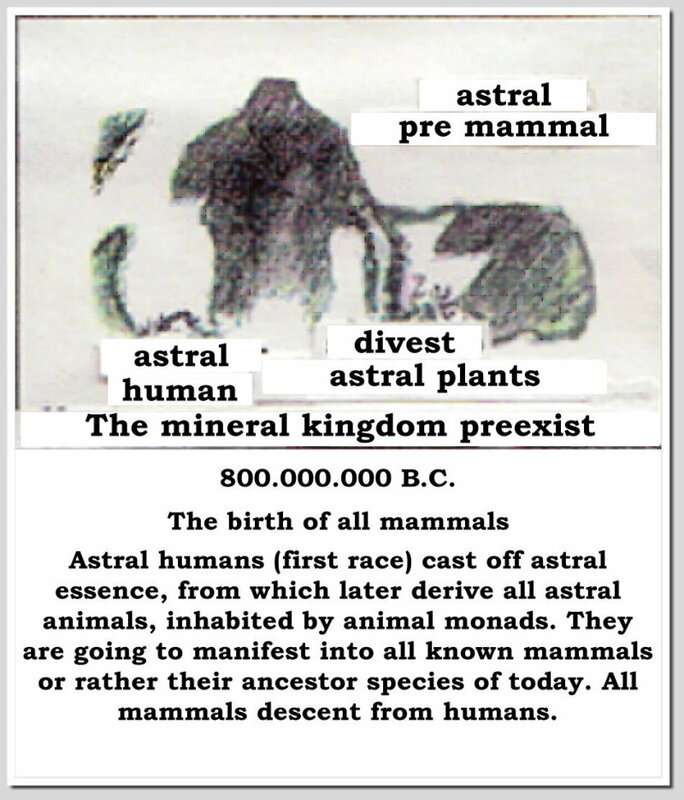 Astral humans (first race) cast off astral essence, from which later derive all astral animals, inhabited by animal monads. They are going to manifest into all known mammals or rather their ancestor species of today. All mammals descent from humans.